Trading at your first market can undoubtedly be a daunting experience, and here at Crafty Fox we like to make the experience as enjoyable and productive as possible for those new to trading. 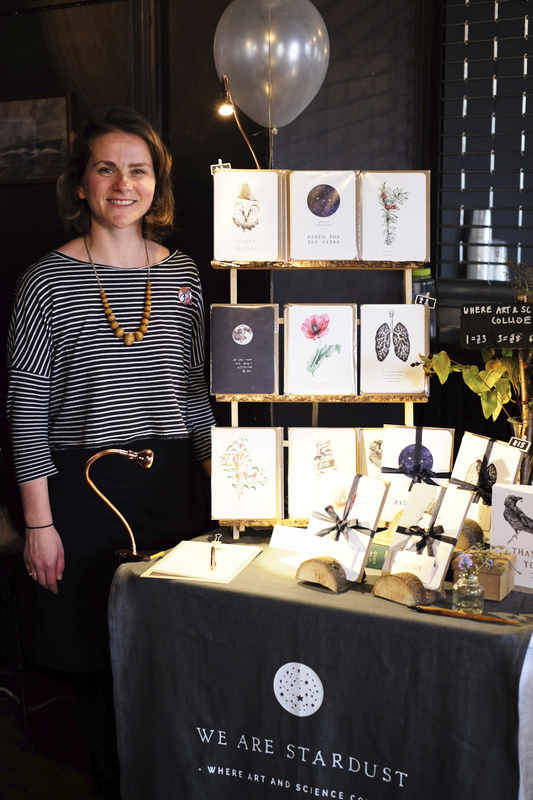 Presenting your work at a craft fair for the first time can be nerve-wracking but some careful planning ahead of your big day is all that's required to calm the craft chaos and make sure everything goes smoothly. But how much stock should I bring? I'm freaking out. Don't freak out. Gauging how much stock to bring along is a notoriously tricky aspect of craft fair prep. but you might find this tactic helpful when starting out. First calculate the amount of sales you need to make to cover your event costs (stall fee, travel, parking etc.). Then, on top of that, decide on a realistic target that, if met, you would leave at the end of the day feeling thoroughly pleased with yourself. Always make sure you have enough stock to reach that target. Start there. I don't have a fancy display. What am I going to DO?! Given that one of the best stall displays I've ever seen was constructed almost entirely from hand painted cardboard boxes, you really needn't splash tonnes of cash on your first craft fair display. Get creative. Consider how best to present your work in a way that makes a visual impact and is in fitting with the feel of your mini-brand. Create height on your stand. Play with colour and texture. Maybe you want to inject some personality with a few fun props or make a special feature of your newest product. You don't want to crowd your work with tonnes and tonnes of wordy information, but make sure your labelling and pricing is super-clear and position your business name prominently so your customers can find you again later. Practice setting up your stall ahead of event day. Mark out the table size on the floor with tape. Play around with product positioning and make sure everything fits well and looks great. When you've decided on the perfect layout, make a little sketch of it or take a quick pic on your phone and pop it in your event kit. Muddle averted. What's an 'event kit'? I don't have an event kit. Help! Your event kit is your friend. It can help you out of tricky spots on event day and you should definitely have one. Let's start with the basics. Gather together the following items: Scissors, white tac, strong tape, string, spare price labels, pens, cleaning cloth, multi-surface cleaner. Pop them in a bag. This is the beginning of your event kit. If you're using a card reader, throw a phone charger and spare batteries in there too. Have a think about your display. Think about your product. Try to plan for all eventualities and add items to your kit as they occur to you. And don't forget business cards! If you're manning your stall alone, it might be tricky for you to get away so bring bottled water and snacks to keep you going throughout the day. What if no one visits my stand? You're presenting your work to the Crafty Fox audience for the first time. That's a big, exciting deal. Tell your family, your friends, colleagues, bus driver, hamster... Get posting on your social media profiles and invite everyone you know to come see you. They will want to show their support and even if they don't all buy from you, creating a little bit of hustle and bustle around your stand (providing the hustle and bustle doesn't cause an obstruction!) gives off friendly vibes and just might bring more visitors your way. I'm nervous about talking to strangers about my work. No one likes a pushy sales person but, even if you're feeling nervous, always try to acknowledge your visitors. You needn't come over all shopping channel presenter about it, but make eye contact, offer a wee smile or a polite 'hello'. Some people will want to talk. Some people won't. Just go with it. Answer questions as they come and prepare a couple of chatty snippets about your work and your process. 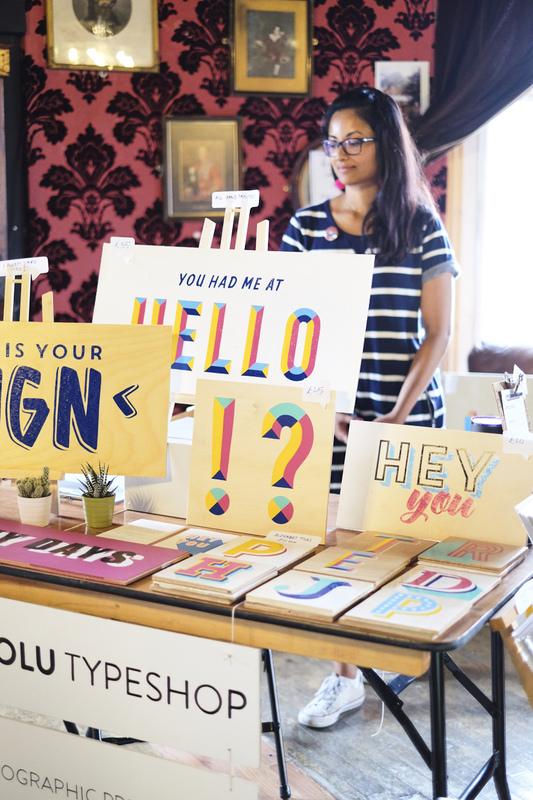 I used to find that standing up behind my stall made me feel instantly more confident and because I was there, eye to eye with my customers, standing up seemed to encourage a more natural chit-chat interaction. Give it a go. How NOT to talk to strangers about your work. What if I don't make any sales? Sales aside, think about what you want to get out of the event and what you expect to gain from taking part. The value of showcasing your work in public is sometimes just as high as selling a hundred pounds worth of stock. Meeting customers face to face offers an excellent chance for you to do some market research! How are people responding to your work? To your price point? To your display? What kinds of questions are they asking about your work? Observe, listen and gather the information you need to make improvements and tweaks going forward. 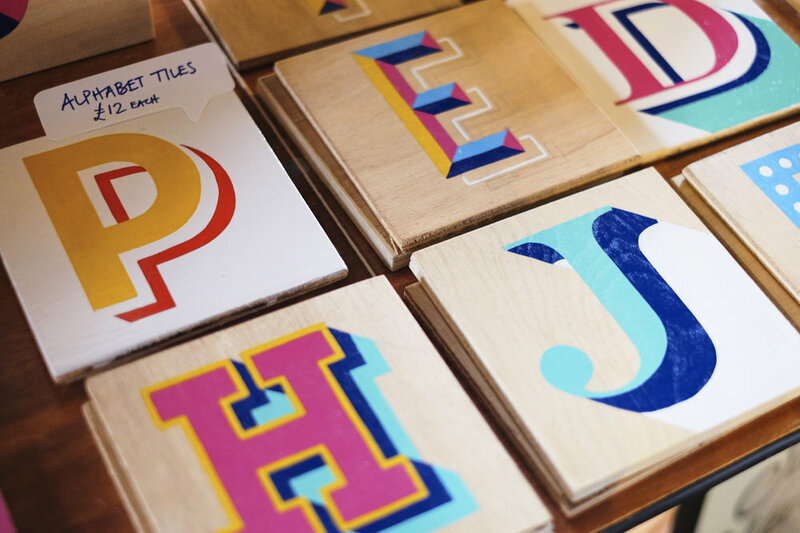 The Crafty Fox craft fair is a great place to meet like-minded artists and potential collaborators. The environment is chock-a-block with opportunities – even if you don't leave with a money box chock-a-block with cash. You won't sell out at every event you attend. And that's ok! I can't wait to see you all in October. Now. Get preparing! 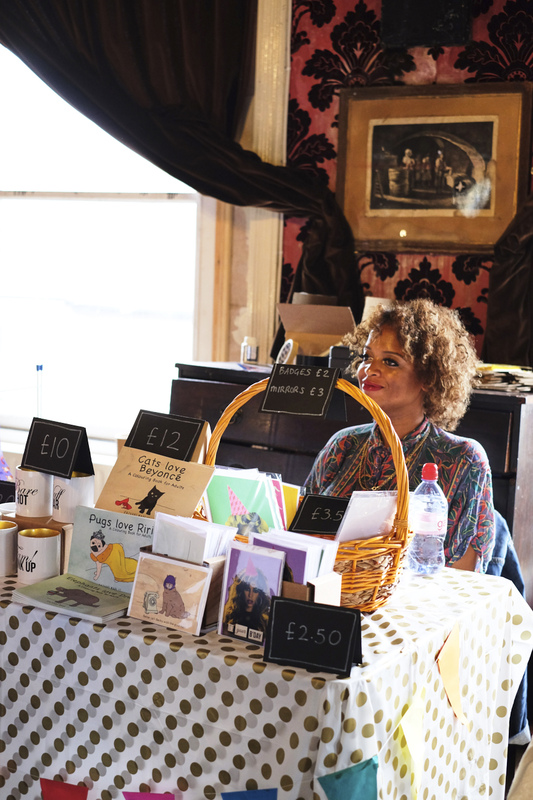 All images are of Crafty Fox Uncovered traders from our recent Brixton Market, taken by Kayti Peschke.